The Escape Gym Ball Rack vertical design allows for the maximum amount of storage whilst taking up the least amount of floor space necessary and leaving minimal damage to it. Manufactured from robust steel tubing. 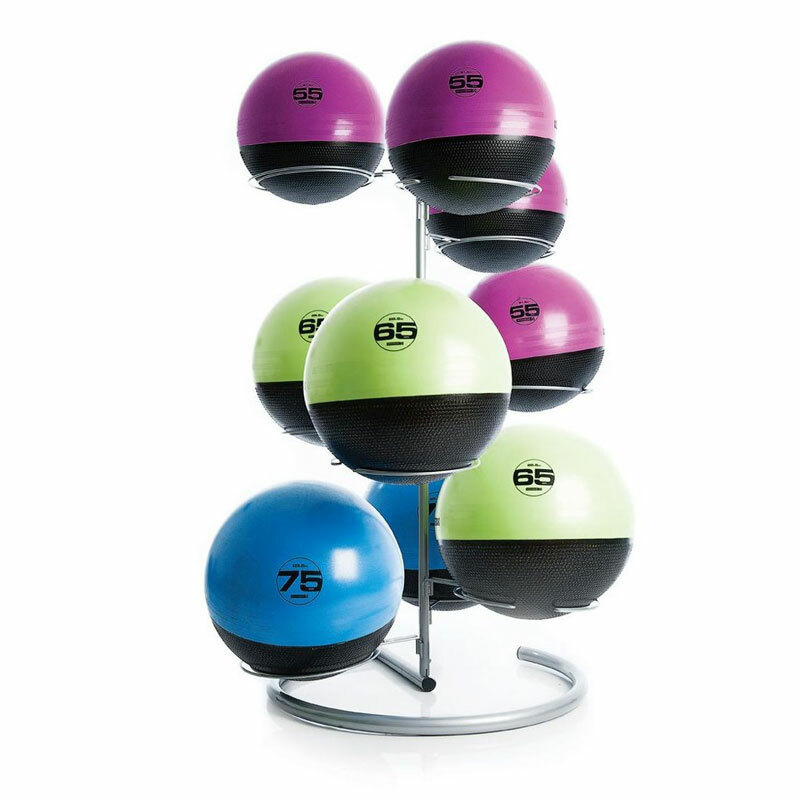 Capacity to hold up to 9 Gym Balls. Gym Balls are not included. 1750mm x 1300mm x 1300mm.